Eve's Sleeping Beauty-esqe Kiss. 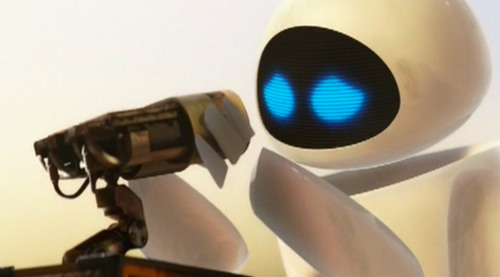 Eve awaken's Wall-E سے طرف کی giving him true love's kiss. HD Wallpaper and background images in the Pixar Couples club tagged: couple wall-e disney pixar disney pixar eve robots true love.